ARIZONA (the 48th state, 14 February 1912) — The Grand Canyon State. Capital: Phoenix. Arizona can be found on page 565 in your almanac and on plates 38 and 142 in your atlas. Name origin: “Spanish version of Pima Indian word for ‘little spring place’ or Aztec arizuma meaning ‘silver-bearing’” (almanac page 423). State bird: Cactus Wren. 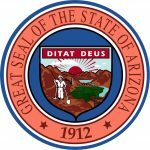 Website: az.gov. 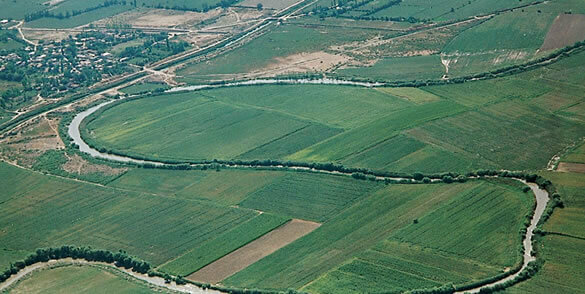 🇺🇿 UZBEKISTAN — in Central Asia. Population: 29,748,859. Capital: Tashkent. Website (in Uzbek, English, and several other languages): www.gov.uz. 🇻🇺 VANUATU — in the southwestern Pacific Ocean. Population: 282,814. Capital: Port-Vila. Website (in English): parliament.gov.vu. 🇻🇦 VATICAN CITY — an enclave within the city of Rome, Italy. Population: 1,000. Website (in Italian, English, and several other languages): www.vatican.va. 🇻🇪 VENEZUELA — in northeastern South America. Population: 31,304,016. Capital: Caracas. Website (in Spanish): www.gobiernoenlinea.ve. These all appear in your current almanac, atlas, and history encyclopedia as well. For example, you’ll find the main entries for the South American country of Venezuela on almanac page 850, atlas plates 53 and 141 , and history encyclopedia page 506, with illustrations, flags, and other mentions available through the indexes in each volume. 🌖 THE MOON at the beginning of this week is gibbous and waning, heading toward new on the 11th (the best time for stargazing). Track the moon’s phases each month at timeanddate.com/moon/phases, and dial up this week’s constellations with your River Houses star atlas (riverhouses.org/books). 🗓 TODAY (Sunday, 29 July) — Today is the 210th day of 2018; there are 155 days remaining in the year. Learn more about different kinds of modern and historical calendars on pages 351–357 in your River Houses almanac (riverhouses.org/books). ⬩ The seven-mile-long Cape Cod Canal first opened on this day in 1914, significantly reducing sailing time between Boston and New York (and markedly increasing safety). MONDAY (30 July) — Monday is the birthday of the great (and largely homeschooled) English writer Emily Bronte (1818–1848), author of Wuthering Heights. ⬩ It’s also the birthday of the American engineer and industrialist Henry Ford (1863–1947). TUESDAY (31 July) — On this day in 1964 the Ranger 7 probe transmitted the first close-up images of the moon taken by an American spacecraft, just minutes before the probe was intentionally crash-landed on the lunar surface. WEDNESDAY (1 August) — Today is the birthday of Maria Mitchell (1818–1889), the discoverer of “Miss Mitchell’s Comet” and the first American woman to work as a professional astronomer. ⬩ It’s also the birthday of the great American writer Herman Melville (1819–1891). THURSDAY (2 August) — The first United States census, conducted under Article I, Section 2 of the Constitution, was commenced on this day in 1790. The total count was 3,929,214. FRIDAY (3 August) — The famous opera house “La Scala” opened on this day in 1778 in Milan, Italy. ⬩ Today is also the birthday of the Pulitzer Prize–winning World War II journalist Ernie Pyle (1900–1945). SATURDAY (4 August) — The great English poet Percy Bysshe Shelley was born on this day in 1792. ⬩ It’s also the birthday of the great American trumpeter and singer Louis Armstrong (1901–1971). ❡ Toasts are a fun tradition for your family table. We offer one each week — you can take it up, or make up one of your own (“To North American dinosaurs!”), or invite a different person to come up with one for each meal (“To variety in toasting!”). Our current examples are usually adapted from two old collections: Marchant’s “Toasts and sentiments” (1888) and the anonymous Social and Convivial Toast-Master (1841). What will you toast this week? 🌎 EVERYTHING FLOWS: Venezuela is one of our countries-of-the-week, so our Weekly World River is the Orinoco, one of the world’s great rivers, which flows from west to east across the center of Venezuela. You can chart its course in your River Houses atlas (riverhouses.org/books), and you can read much more about it in the comprehensive Orinoco River entry in Wikipedia or perhaps on your next visit to your local library. NEW MEXICO (the 47th state, 6 January 1912) — The Land of Enchantment. Capital: Santa Fe. New Mexico can be found on page 580 in your almanac and on plates 38 and 142 in your atlas. Name origin: “Spaniards in Mexico applied term to land north and west of Rio Grande in the 16th century” (almanac page 423). State bird: Roadrunner. 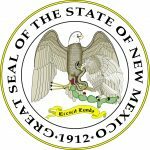 Website: www.newmexico.gov. 🇦🇪 THE UNITED ARAB EMIRATES — in the Middle East. Population: 6,074,475. Capital: Abu Dhabi. Website (in Arabic and English): www.government.ae. 🇬🇧 THE UNITED KINGDOM — in Western Europe. Population: 64,769,452. Capital: London. Website (in English): www.gov.uk. 🇺🇸 THE UNITED STATES — in North America. Population: 326,625,791. Capital: Washington, D.C. Website (in English): www.usa.gov. 🇺🇾 URUGUAY — in southern South America. Population: 3,360,148. Capital: Montevideo. Website (in Spanish): portal.gub.uy. These all appear in your current almanac, atlas, and history encyclopedia as well. For example, you’ll find the main entries for the South American country of Uruguay on almanac page 849, atlas plates 56 and 141, and history encyclopedia page 512, with illustrations, flags, and other mentions available through the indexes in each volume. ❡ Did you know…? You can teach a hundred little lessons with our “Quick Freshes” posts each week just by dropping questions into your daily conversations with your students and inviting them to discover more. For example: “Did you know that the United Kingdom (one of our countries of the week) is something of a composite nation made up of England, Northern Ireland, Scotland, and Wales, as well as various overseas territories?” You can find a facts-and-figures outline of the United Kingdom on page 846 in your River Houses almanac (riverhouses.org/books) and on plate 140 in your atlas, with a maps of the country on atlas plates 60–62. 🌔 THE MOON at the beginning of this week is gibbous and waxing, heading toward full on the 27th. Track the moon’s phases each month at timeanddate.com/moon/phases, and dial up this week’s constellations with your River Houses star atlas (riverhouses.org/books). 🗓 TODAY (Sunday, 22 July) — Today is the 203rd day of 2018; there are 162 days remaining in the year. Learn more about different kinds of modern and historical calendars on pages 351–357 in your River Houses almanac (riverhouses.org/books). ⬩ On this day in 1793, the Scottish explorer Alexander Mackenzie (1764–1820) reached the Pacific Ocean, having completed the first transcontinental crossing of North America. ⬩ Today is also the birthday of the American poet and novelist Stephen Vincent Benét (1898–1943). TUESDAY (24 July) — Today is the birthday of “The Liberator,” Simón Bolívar (1783–1830), one of the most important figures in the history of Latin America. Bolívar played a central role in establishing the independence of Bolivia (which was named for him), Colombia, Ecuador, Peru, Panama, and Venezuela. ⬩ On this day in 1847, a group of Mormon pioneers under the leadership of Brigham Young arrived in the Salt Lake Valley and established the settlement that became Salt Lake City, Utah. WEDNESDAY (25 July) — Today is the birthday of the German medical researcher Paul Langerhans (1847–1888), who discovered the insulin-secreting cell clusters of the pancreas, known today as the islets of Langerhans. ⬩ Today is also the birthday of the English biochemist and crystallographer Rosalind Franklin (1920–1958), who played a key role in the discovery of the double-helical structure of DNA. THURSDAY (26 July) — The great painter of the American West, George Catlin, was born on this day in 1796. ⬩ Today is also the birthday of the polemical Irish playwright and Nobel laureate George Bernard Shaw (1856–1950). SATURDAY (28 July) — Today is the birthday of the great English scientific polymath Robert Hooke (1635–1703). Hooke was one of the pioneers of microscopy and was the first person to apply the world “cell” to the basic structural units of living things. ⬩ One of the most innovative poets of the nineteenth century, Gerard Manley Hopkins, was born on this day in 1844. 🌎 EVERYTHING FLOWS: The United Kingdom is one of our countries-of-the-week, so our Weekly World River is the River Thames, one of the most storied rivers in the English-speaking world, which flows through the UK capital city of London. You can chart its course in your River Houses atlas (riverhouses.org/books), and you can read much more about it in the comprehensive Thames River entry in Wikipedia or perhaps on your next visit to your local library. Today is the birthday of the great English hymn writer and educator Isaac Watts (1674–1748). It would be hard to overestimate Watts’ influence on the 18th-century musical and religious culture not just of England but also of early America, and his name and his work should be familiar to all educated people, both religious and secular. Watts was a clergyman in the English Nonconformist tradition — the tradition of the 17th-century Puritans, and of the denominations that are usually called Congregationalist in the United States. The Nonconformists refused to adhere to the canons of the state-sanctioned Church of England (the Anglican Church), and although they were tolerated within society at large, in Watts’ day they were denied admission to English universities and could not hold many public offices. The early hymns of the American black church, before the “Gospel” style became popular in the 20th century, were often called “Dr. Watts songs,” whether or not they were actually written by Watts, and many of these are still sung today. 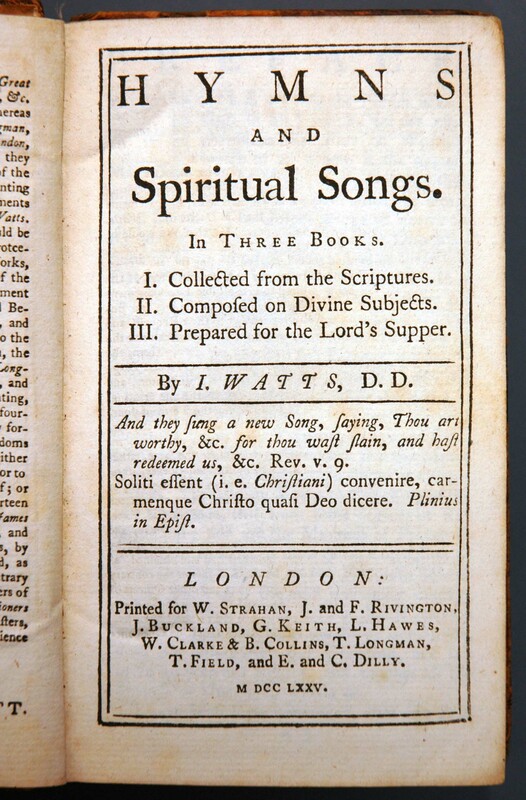 Isaac Watts, Hymns and Spiritual Songs (1775 London edition). Whether you are a religious or a secular homeschooler, take a few minutes this week to introduce your students to the vigor and clarity of Watts’ hymns, which have been an important part of the musical and literary landscape of the English-speaking world for nearly three hundred years. 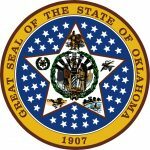 OKLAHOMA (the 46th state, 16 November 1907) — The Sooner State. Capital: Oklahoma City. Oklahoma can be found on page 583 in your almanac and on plates 40 and 142 in your atlas. Name origin: “Choctaw word meaning ‘red man,’ proposed by Rev. Allen Wright, a Choctaw-speaking Indian” (almanac page 423). State bird: Scissor-tailed Flycatcher. Website: www.ok.gov. 🇹🇲 TURKMENISTAN — in Central Asia. Population: 5,351,277. Capital: Ashgabat. Website (in Turkmen, Russian, and English): www.turkmenistan.gov.tm. 🇹🇻 TUVALU — in the South Pacific Ocean. Population: 11,052. Capital: Funafuti. Website (United Nations page): www.un.int/tuvalu. 🇺🇬 UGANDA — in East Africa. Population: 39,570,125. Capital: Kampala. Website (in English): www.statehouse.go.ug. 🇺🇦 UKRAINE — in Eastern Europe. Population: 44,033,874. Capital: Kiev. Website (in Ukrainian and English): www.kmu.gov.ua. These all appear in your current almanac, atlas, and history encyclopedia as well. For example, you’ll find the main entries for the African nation of Uganda on almanac page 844, atlas plates 99 and 141, and history encyclopedia page 565, with illustrations, flags, and other mentions available through the indexes in each volume. ❡ Did you know…? You can teach a hundred little lessons with our “Quick Freshes” posts each week just by dropping questions into your daily conversations with your students and inviting them to discover more. For example: “Did you know that the tiny island nation of Tuvalu in the Pacific Ocean has a land area of only ten square miles?” You can find a facts-and-figures outline of Tuvalu, one of our countries of the week, on page 844 in your River Houses almanac (riverhouses.org/books) and on plate 140 in your atlas, with a map of the country on atlas plate 110 (where you can also practice reading insets on a map). 🌒 THE MOON at the beginning of this week is a waxing crescent — a great time for stargazing! Track the moon’s phases each month at timeanddate.com/moon/phases, and dial up this week’s constellations with your River Houses star atlas (riverhouses.org/books). 🗓 TODAY (Sunday, 15 July) — Today is the 196th day of 2018; there are 169 days remaining in the year. Learn more about different kinds of modern and historical calendars on pages 351–357 in your River Houses almanac (riverhouses.org/books). ⬩ Today is also the birthday of the great Dutch artist Rembrandt van Rijn (1601–1669). ⬩ On this day in 1799, near the town of Rashid (Rosetta) in Egypt, a French captain in Napoleon’s army discovered a smooth black stone with a trilingual inscription in Hieroglyphics, Demotic Egyptian, and Greek. The Rosetta Stone, one of the world’s most famous archeological objects, made it possible to translate ancient Egyptian Hieroglyphics for the first time. MONDAY (16 July) — The District of Columbia was established as the capital of the United States in this day in 1790. ⬩ Today is the birthday of the American religious leader Mary Baker Eddy (1821–1910), founder of the Christian Science movement. ⬩ Today is also the birthday of the Norwegian explorer Roald Amundsen (1872–1928), leader of the first expedition to reach the South Pole. WEDNESDAY (18 July) — The Great Fire of Rome broke out on this day in the year 64 A.D. Over the next six days it destroyed much of the city. Some reports (which may or may not be true) claimed that the Emperor Nero entertained himself by playing the lyre as he watched the city go up in flames. ⬩ On this day in 1863 during the American Civil War, the 54th Massachusetts Volunteer Infantry, a regiment made up almost entirely of African-American soldiers, attempted unsuccessfully to capture Fort Wagner near Charleston, South Carolina. Their story was dramatized in the 1989 film Glory. THURSDAY (19 July) — The first national convention on women’s rights, the two-day Seneca Falls Convention, opened on this day in 1848 in Seneca Falls, New York. FRIDAY (20 July) — Today is the birthday of the Austrian monk Gregor Mendel (1822–1884), the father of modern genetics. ⬩ On this day in 1969, the Apollo 11 lunar module set down on the Sea of Tranquility and American astronauts Neil Armstrong and Buzz Aldrin became the first human beings to walk on the moon. SATURDAY (21 July) — The American novelist and Nobel Laureate Ernest Hemingway was born on this day in 1899. ⬩ The lowest temperature ever recorded on Earth, −128.6 ºF (−89.2 ºC), was measured on this day in 1963 at the Soviet Vostok Station in Antarctica. 🌎 EVERYTHING FLOWS: Ukraine is one of our countries-of-the-week, so our Weekly World River is the Dnieper River, one of the great rivers of Europe, which flows through the Ukrainian capital city of Kiev. You can chart its course in your River Houses atlas (riverhouses.org/books), and you can read much more about it in the comprehensive Dnieper River entry in Wikipedia or perhaps on your next visit to your local library. UTAH (the 45th state, 4 January 1896) — The Beehive State. Capital: Salt Lake City. Utah can be found on page 588 in your almanac and on plates 38 and 142 in your atlas. Name origin: “From a Navajo word meaning ‘upper,’ or ‘higher up,’ as applied to Shoshone tribe called Ute. Proposed name Deseret, ‘land of honeybees,’ from Book of Mormon, was rejected by Congress” (almanac page 423). State bird: California Gull. 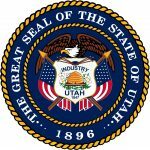 Website: utah.gov. 🇹🇴 TONGA — in southwestern Pacific Ocean. Population: 106,479. Capital: Nuku’alofa. Website (in English): www.gov.to. 🇹🇹 TRINIDAD AND TOBAGO — in the West Indies. Population: 1,218,208. Capital: Port of Spain. Website (in English): www.ttconnect.gov.tt. 🇹🇳 TUNISIA — on the northern coast of Africa. Population: 11,403,800. Capital: Tunis. Website (in Arabic and French): www.tunisie.gov.tn. 🇹🇷 TURKEY — in western Asia. Population: 80,845,215. Capital: Istanbul. Website (in Turkish, English, Arabic, and French): www.tccb.gov.tr. These all appear in your current almanac, atlas, and history encyclopedia as well. For example, you’ll find the main entries for the nation of Turkey on almanac page 843, atlas plates 78 and 140, and history encyclopedia page 570, with illustrations, flags, and other mentions available through the indexes in each volume. ❡ Did you know…? You can teach a hundred little lessons with our “Quick Freshes” posts each week by just dropping questions into your daily conversations with your students and inviting them to discover more. For example: “Did you know that the modern nation of Turkey contains some of the world’s most famous archaeological sites?” You can find a facts-and-figures outline of Turkey, one of our countries of the week, on page 843 in your River Houses almanac and on plate 140 in your atlas, with a map of the country on atlas plate 78 (riverhouses.org/books). 🌘 THE MOON at the beginning of this week is waning crescent — an increasingly good time for stargazing! Track the moon’s phases each month at timeanddate.com/moon/phases, and dial up this week’s constellations with your River Houses star atlas (riverhouses.org/books). 🗓 TODAY (Sunday, 8 July) — Today is the 189th day of 2018; there are 176 days remaining in the year. Learn more about different kinds of modern and historical calendars on pages 351–357 in your River Houses almanac (riverhouses.org/books). ⬩ Today is also the birthday of the Australian-American composer and pianist Percy Grainger (1882–1961). MONDAY (9 July) — On this day in 1755, a British-American force under the command of General Edward Braddock was defeated and almost destroyed as they fought to capture Fort Duquesne (modern-day Pittsburgh, Pennsylvania) from its French and Indian defenders. We remember “Braddock’s Defeat” today mainly because of an effective rear-guard defense that saved many lives — a defense led by a 23-year-old colonial colonel named George Washington. TUESDAY (10 July) — The highest temperature ever recorded on earth, 134ºF (57ºC), was reached on this day in 1913 in Death Valley, California. ⬩ Today is the birthday of the French-Swiss theologian and religious reformer John Calvin (1509–1564), one of the key figures of the Protestant Reformation. ⬩ On this day in 1962, the world’s first communications satellite, Telstar, was launched into earth orbit. THURSDAY (12 July) — Today is the birthday of the great American writer, philosopher, and naturalist Henry David Thoreau (1817–1862). ⬩ It’s also the birthday of the American artist Andrew Wyeth (1917–2009). FRIDAY (13 July) — It’s Friday the 13th! 😮 Today is the generally accepted birthdate of the ancient Roman politician, general, and dictator Julius Caesar (100–44 B.C.). ⬩ It’s also the birthday of the great English poet John Clare (1793–1864). SATURDAY (14 July) — Today is the birthday of the celebrated composer Gerald Finzi (1901–1956), known for his musical settings of many classic English lyric poems. ⬩ The interplanetary space probe New Horizons made its closest approach to Pluto (less than 8000 miles from the surface) on this day in 2015. 🌎 EVERYTHING FLOWS: Turkey is one of our countries-of-the-week, so our Weekly World River is the Büyük Menderes River, better known as the Maeander or Meander River, from which is derived the English word “meander.” You can chart its course in your River Houses atlas (riverhouses.org/books), and you can read much more about it in the Büyük Menderes River entry in Wikipedia, or perhaps on your next visit to your local library. The best skywatching nights in July will be toward the middle of the month — the moon will be new (and the sky darkest) on the 12th. As always, you can track the moon’s phases at the excellent timeanddate.com website (timeanddate.com/moon/phases). WYOMING (the 44th state, 10 July 1890) — The Cowboy State. Capital: Cheyenne. Wyoming can be found on page 581 in your almanac and on plates 36 and 142 in your atlas. Name origin: “From Algonquin words for ‘large prairie place,’ ‘at the big plains,’ or ‘on the great plain.’” (almanac page 423). State bird: Western Meadowlark. 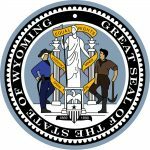 Website: www.wyo.gov. 🇹🇿 TANZANIA — in eastern Africa. Population: 53,950,935. Capital: Dodoma/Dar es Salaam. Website (in English and Swahili): www.tanzania.go.tz. 🇹🇭 THAILAND — in southeastern Asia. Population: 68,414,135. Capital: Bangkok. Website (in Thai and English): www.thaigov.go.th. 🇹🇱 TIMOR-LESTE (East Timor) — in the southwestern Pacific Ocean. Population: 1,291,358. Capital: Dili. Website (in English and Portuguese): timor-leste.gov.tl. 🇹🇬 TOGO — in southwestern Africa. Population: 7,965,055. Capital: Loméia. Website (in French): www.primature.gouv.tg. These all appear in your current almanac, atlas, and history encyclopedia as well. For example, you’ll find the main entries for the African nation of Tanzania on almanac page 840, atlas plates 100 and 140, and history encyclopedia page 565, with illustrations, flags, and other mentions available through the indexes in each volume. ❡ Did you know…? You can teach a hundred little lessons with our “Quick Freshes” posts each week by just dropping questions into your daily conversations with your students and inviting them to discover more. For example: “Did you know that most of the world’s supply of cloves comes from Zanzibar and Pemba, two islands off the coast of Tanzania?” You can find a facts-and-figures outline of Tanzania (one of our countries of the week) on page 840 in your River Houses almanac and on plate 140 in your atlas, with a map of the country on atlas plate 100 (riverhouses.org/books). 🌖 THE MOON at the beginning of this week is gibbous and waning — a good time for moonwatching! Track the moon’s phases each month at timeanddate.com/moon/phases, and dial up this week’s constellations with your River Houses star atlas (riverhouses.org/books). 🗓 TODAY (Sunday, 1 July) — Today is the 182nd day of 2018; there are 183 days remaining in the year. Learn more about different kinds of modern and historical calendars on pages 351–357 in your River Houses almanac (riverhouses.org/books). ⬩ Today is the birthday of the great German mathematician and polymath Gottfried Wilhelm Leibniz (1646–1716). ⬩ Today is also the birthday of the German-Hungarian physician Ignaz Semmelweis (1818–1865), “the savior of mothers,” who discovered that deaths from childbed fever could be dramatically reduced by requiring physicians delivering babies to wash their hands. ⬩ On this day in 1863, the Civil War Battle of Gettysburg began. Over three days of fighting, Union and Confederate forces suffered more than 40,000 casualties. MONDAY (2 July) — Noon today is the mid-point of the year: 182.5 days have passed, and 182.5 days remain. ⬩ On this day in 1776, the Continental Congress passed the Lee Resolution, declaring the Thirteen Colonies independent of Great Britain. ⬩ Today is the birthday of Thurgood Marshall (1908–1993), the first African American appointed to the United States Supreme Court. ⬩ The first Wal-Mart store opened on this day in 1962 in Rogers, Arkansas. TUESDAY (3 July) — On this day in 1775, on orders from the Continental Congress and a year before Independence was declared, George Washington took command of the thousands of New England militiamen encamped on the Cambridge Common outside of Boston, and the Continental Army was born. ⬩ Today is the birthday of early American painter John Singleton Copley (1738–1815), who memorialized many prominent figures of the American Revolutionary period. ⬩ Today is also the birthday of the American songwriter, actor, and Yankee Doodle Dandy George M. Cohan (1872–1942). WEDNESDAY (4 July) — Happy Independence Day! On this day in 1776, the Continental Congress adopted the Declaration of Independence. ⬩ On this day in 1802, the United States Military Academy opened at West Point, New York. ⬩ The great American novelist and short-story writer Nathaniel Hawthorne was born on this day in 1804. ⬩ On this day in 1826, on the 50th anniversary of the adoption of the Declaration of Independence, Thomas Jefferson died in Virginia and John Adams died in Massachusetts. ⬩ And on this day in 1872, Calvin Coolidge, 30th President of the United States, was born in Plymouth Notch, Vermont. THURSDAY (5 July) — One of the most famous books in the history of science, Isaac Newton’s Philosophiae Naturalis Principia Mathematica, was published in London on this day in 1687. ⬩ And somewhat less sublime: the canned luncheon meat SPAM was first introduced to the American market on this day in 1937. FRIDAY (6 July) — General Daniel Morgan, the commander of “Morgan’s Riflemen” during the American Revolution, was born on this day in 1736. ⬩ In one of the great setbacks of the early phase of the Revolution, British General John Burgoyne forced American troops to abandon Fort Ticonderoga on the New York–Vermont border on this day in 1777. ⬩ Today is also the birthday of the Belarusian-French artist Marc Chagall (1887–1985), famous for his work in stained glass. SATURDAY (7 July) — On this day in 1928, sliced bread was sold for the first time by the Chillicothe Baking Company in Missouri — and it was the greatest thing since, um, sliced bread! That wrote the Declaration of Independence. ❡ Toasts are a fun tradition for your family table. We offer one each week — you can take it up, or make up one of your own (“To North American dinosaurs!”), or invite a different person to come up with one for each meal (“To variety in toasting!”). Our examples are usually adapted from two old collections: Marchant’s “Toasts and sentiments” (1888) and the anonymous Social and Convivial Toast-Master (1841). What will you toast this week? 🌎 EVERYTHING FLOWS: Tanzania is one of our countries-of-the-week, so our Weekly World River is the Rufiji River in eastern Tanzania. You can chart its course in your River Houses atlas (riverhouses.org/books), and you can read much more about it in the comprehensive Rufiji River entry in Wikipedia or perhaps on your next visit to your local library.